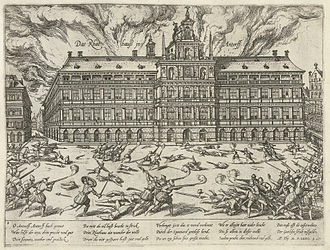 Engraving of the Siege of Sluis of 1587 by Frans Hogenberg. 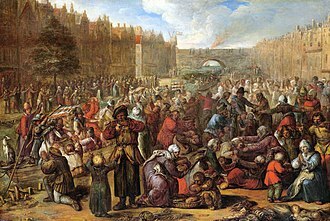 The Siege of Sluis of 1587 took place between 12 June and 4 August 1587, as part of the Eighty Years' War and the Anglo-Spanish War (1585–1604). 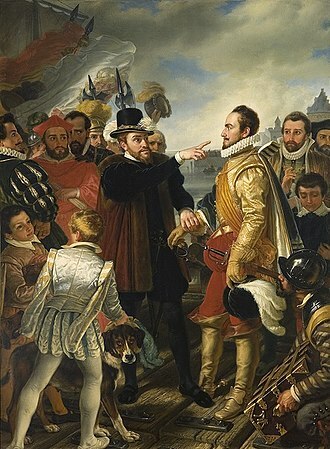 On 12 June 1587, Don Alexander Farnese, Duke of Parma (Spanish: Alejandro Farnesio), Governor-General of the Spanish Netherlands, and commander-in-chief of the Army of Flanders, laid siege to the strategic deep-water port of Sluis, defended by English and Dutch troops under Sir Robert Dudley, Earl of Leicester, Governor-General of the United Provinces, and Sir Roger Williams. 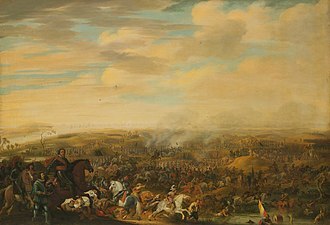 On 24 June, the bombardment began, and on 4 August, after of 13 days of constant fighting around the walls, the English garrison surrendered. 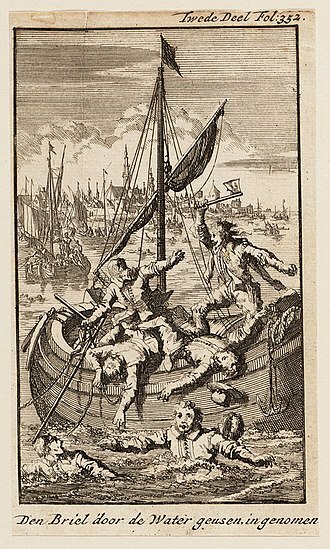 The loss of the English-held port of Sluis revealed the inability of Leicester to assert his authority over the Dutch allies, who refused to cooperate in relieving the town, and led to recriminations between the governor-general and the States of Holland. 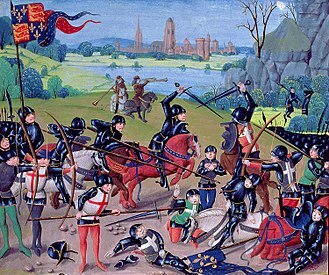 Other notable English soldiers under Leicester's command were Sir Thomas Baskerville and Sir Francis Vere. 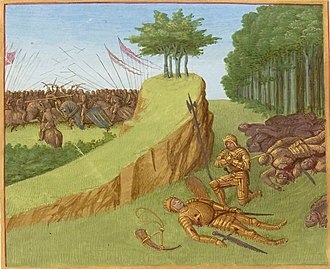 In the following months, the Earl of Leicester launched a series of unsuccessful attacks against the Spaniards. In September 1587, Leicester attempts to capture Leiden, but failed, and his plans to capture Enkhuizen and Hoorn, two important ports of West Friesland, also failed. On 16 December 1587, Leicester returned to England. Tracy, James. 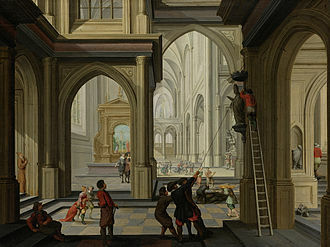 The Founding of the Dutch Republic: War, Finance, and Politics in Holland 1572–1588. Oxford University Press. First published 2008. 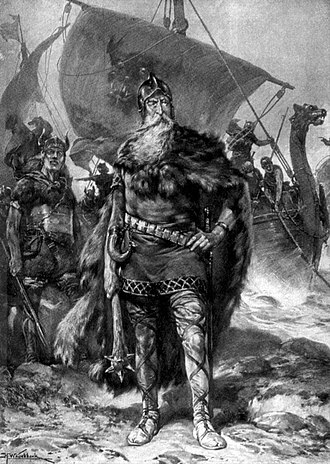 Hammer, P.E.J. (1999). The Polarisation of Elizabethan Politics: The Political Career of Robert Devereux, 2nd Earl of Essex, 1585–1597. Cambridge University Press. Great Britain. ISBN 0-521-01941-9. Garrett Mattingly (1959), The Armada, Boston: Houghton Mifflin. 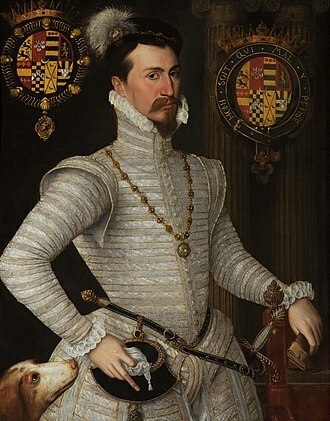 Robert Dudley, 1st Earl of Leicester KG was an English nobleman and the favourite and close friend of Elizabeth Is, from her first year on the throne until his death. 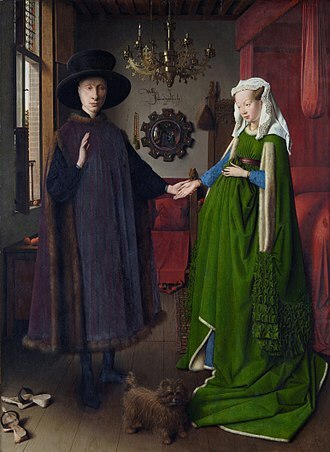 He was a suitor for the hand for many years. 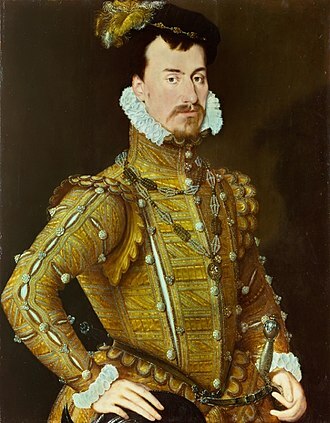 Dudleys youth was overshadowed by the downfall of his family in 1553 after his father, Robert Dudley was condemned to death but was released in 1554 and took part in the Battle of St. Quentin under Philip II of Spain, which led to his full rehabilitation. On Elizabeth Is accession in November 1558, Dudley was appointed Master of the Horse, in October 1562, he became a Privy Councillor and, in 1587, was appointed Lord Steward of the Royal Household. 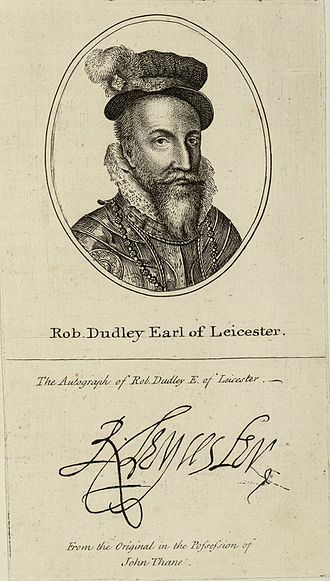 In 1564, Dudley became Earl of Leicester and, from 1563, one of the greatest landowners in North Wales, Robert Dudley, Earl of Leicester, was one of Elizabeths leading statesmen, involved in domestic as well as foreign politics alongside William Cecil and Francis Walsingham. Although he refused to be married to Mary, Queen of Scots, Dudley was for a time relatively sympathetic to her until, from the mid-1580s. As patron of the Puritan movement, he supported non-conforming preachers, a champion of the international Protestant cause, he led the English campaign in support of the Dutch Revolt. His acceptance of the post of Governor-General of the United Provinces infuriated Queen Elizabeth, the expedition was a military and political failure, and it ruined the Earl financially. 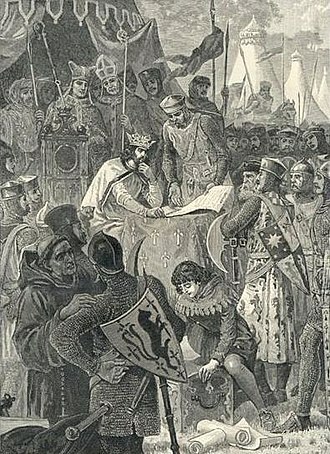 Leicester was engaged in many business ventures and was one of the main backers of Francis Drake. During the Spanish Armada, the Earl was in command of the English land forces. In this function, he invited Queen Elizabeth to visit her troops at Tilbury and this was the last of many events he had organised over the years, the most spectacular being the festival at his seat Kenilworth Castle in 1575 on occasion of a three-week visit by the Queen. 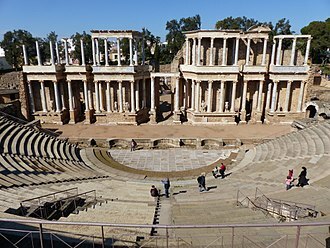 Dudley was a patron of the arts, literature. Robert Dudleys private life interfered with his career and vice versa. 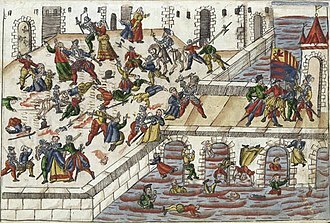 When his first wife, Amy Robsart, fell down a flight of stairs and died in 1560, the resulting scandal very much reduced his chances in this respect.